Back to School: Projects for Students #BackToSchool « Adafruit Industries – Makers, hackers, artists, designers and engineers! Back to school, back to campus, back to the learning time! Here are some projects from the Adafruit Learning System that can be handy and fun if you’re headed to the dorms, looking to get a leg up in learning electronics, trying to find a quiet place to study, or hankering for a way to make new friends! In order for him to keep track of which class happens when on each day, we decided to create an electronic schedule reminder using Circuit Playground! We can program the schedule into the Circuit Playground and then use it as a sort of cheat sheet to quickly check which class is happening at which period on a given day. Instead of having the schedule written out as a bunch of text on a paper schedule or a digital display, the ten colored NeoPixels on the Circuit Playground can convey a lot of information very efficiently. We use the five NeoPixel LEDs on the right half of the board to indicate the day of the week, and the five on the left to indicate class periods one through five. The class period NeoPixels are color coded to the same color folder he uses for that class, so, green = science, for example. Why not soak up some free power from the sun? 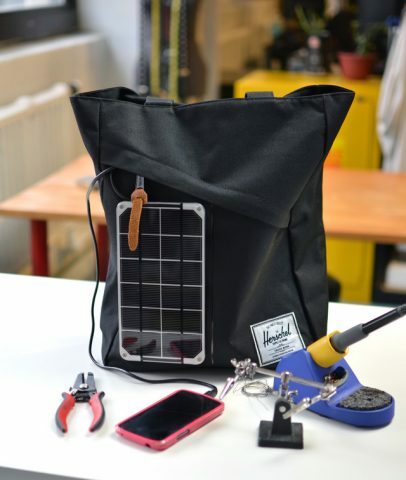 Charge your gadgets on the go by making your own solar battery charger, then affix it to your favorite handbag or backpack. This is a fun soldering project you can build in an afternoon! Make your dorm room glow to the beat of your heart. Technology connects us to the outer world, but have we lost touch with our inner selves? Let’s attempt to remedy this modern condition by controlling room lighting & sound with the beating of your own heart. Hey – it’s worth a shot. 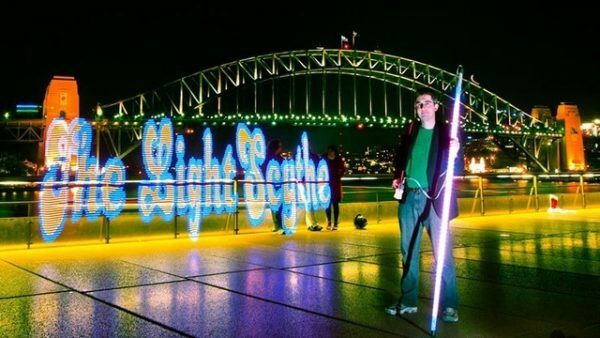 This project uses a Pulse Sensor Amped, Feather M0, MusicMaker FeatherWing, RGB LED strips, and power MOSFETs to turn any room into a thumping, flashing pulse room. For a more refined version of this idea in a gallery setting, see Sean Montgomery’s excellent Emergence installation. Playing virtual pinball on an iPad is a whole lot of fun! Pinball Arcade is my personal favorite — it runs a huge selection of classic tables reproduced down to the finest detail, and the physics are incredibly accurate and satisfying. Originally intending to build my own from scratch, I ran across an old accessory called the Duo Pinball controller, which is available online for less than $9 new! (it retailed for $60 when launched in 2012). It was designed for a different pinball game, Pinball HD Collection, and isn’t compatible with the one I prefer, but it didn’t take too much effort to transplant a new brain in it and make it work! Vintage radios are irresistible. When you hear one spewing static, your natural response is to turn the dial and try to tune in a station. The anticipation! What will you hear? With this Haunted Radio project, you can decide for your guests or escape room attendees exactly what they’ll hear, and you can even choose the frequency. There isn’t any pirate radio station involved here, either. Instead, the secret is a Feather microcontroller reading the dial position with a magnet sensor, and an attached Music Maker FeatherWing with amplifier to play back your pre-recorded message over the radio’s speaker. The little girl in your life will very likely refuse to ever take this hat off. (But you can wear it yourself while she’s sleeping. We won’t tell anyone). A joystick in the pocket controls servos inside the ears, and the Circuit Playground’s onboard LEDs animate the magical glowing rainbow unicorn horn. We’ve kept this project fairly simple — it’s a great first step into the world of robotics and servos. This technique will work on any animal hat with attached ears, so if your inner animal is a pandaor a fox or some other critter, go nuts. The world is your animatronic playground. Are you a senior? Feeling old? Here’s a Logan’s Run Hand Jewel to tell you if it’s time to head to carousel. In this guide, you’ll learn how to build a bright glowing light that can be used for cosplay elements, decor and wearables. The circuit and components are fully contained in a 3D printed cylindrical enclosure. An integrated switch allows you to turn the circuit off without having to take it apart. The circuit is powered by an Adafruit GEMMA and a small 150mAh lithium polymer battery. The NeoPixel Jewel contains 7 individual LEDs that can be programmed to display different colors and animations. With all of the components fitted inside the enclosure, this makes for a very tight package that can be used in all sorts of projects. This project was inspired by the “Life Clock” in 1976’s epic Sci-Fi film, Logan’s Run. In the story, each person is implanted at birth with a “life-clock” crystal in the palm of their hand that changes color as they get older and begins blinking as they approach their “Last Day”. This DIY version is different than the original prop seen in the film, and not at all screen accurate, but it does resemble the iconic object.